What will I choose? Protection or comfort? Should I maximize my level of protection? If I do, will it still be comfortable to ride in? It’s not cheap. Will I even wear it if it’s not comfortable? If it’s comfortable, will it still protect me? How many times do we have this internal dialog when deciding which gear to purchase? Finding the perfect balance is not only crucial for a rider’s overall safety but one’s confidence as well. Dainese has taken this dilemma and sewn in an “Easy Button”. Now entering the ring…..Air Frazer (and the crowd goes WILD)! 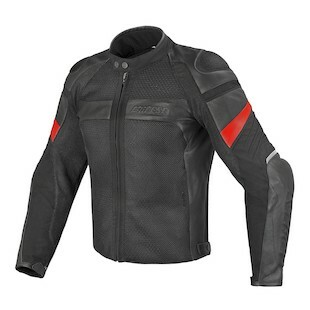 The Dainese Air Frazer is a two season, summer-biased, heavyweight from Vicenza, Italy. Air Frazer is the child prodigy of Mr. Dainese Super Speed Textile Jacket and Mrs. Dainese Delta Pro Pants. Round by round, the Air Frazer Jacket & Pants defeat perspiration with its Boomerang Mesh. Body shots are defended by cowhide leather in the impact areas and CE-certified armor. Late into the rounds, the Air Frazer strikes. 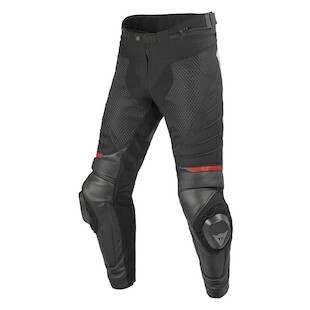 Utilizing its flexibility, the Dainese Air Frazer Pants drop low (“Down Goes Frazer”, yells the announcer), drags a knee, then springs up with a fierce uppercut. BOOM! POW! BANG! The opponent hits the mat, and the Air Frazer Jacket holds its sleeves high, victorious. Win the fight between protection and comfort with the Air Frazer. Enjoy the perfect balance of protection and warm weather comfort. Will this new addition to the Dainese lineup achieve an undefeated season? According to our Magic 8-Ball, signs point to yes.